As someone who's been obsessed with magazines from a young age, I've read countless articles defining the variety of female body shapes and the clothing and accessories that best match them. 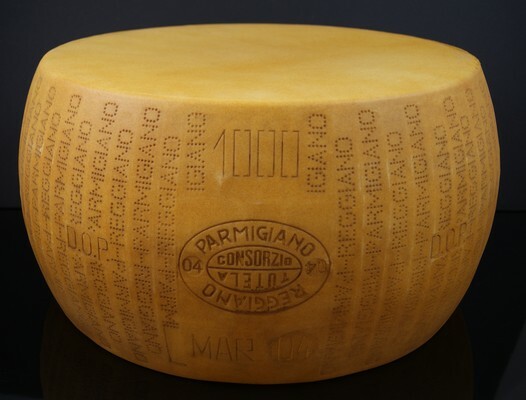 Through the years, the labels have evolved slightly but one thing has remained the same: they're always worded in a short, sweet, simple way meant to make every shape sound attractive. Pear, straight, athletic, curvy... Missing from the list is the one that fits me. You know, the one that's specific, illustrative, and dead-on accurate. Relatively proportional most of the way down, with oddly placed speed bumps on either side of the upper thighs. I'm thinking something like: Python that swallowed a whole cheese wheel and is storing it about three quarters of the way down its throat. Needless to say, bathing suit season can be a little stressful. But as I packed for our trip last week, I took an unusual tact. I shoved every bathing suit I owned into my duffel bag without trying them on (most of which I hadn't worn since our honeymoon back in 2009) and hoped for the best. I spent the rest of the week obsessing over the shapes that really matter. The perfect half moon of Hudson's smile as he learned to ride a tricycle. The giant almonds that were his eyes when he first saw the ocean's waves. The triangles of the swimmies he wore into the pool that so reminded me of the ones I, too, wore as a kid. 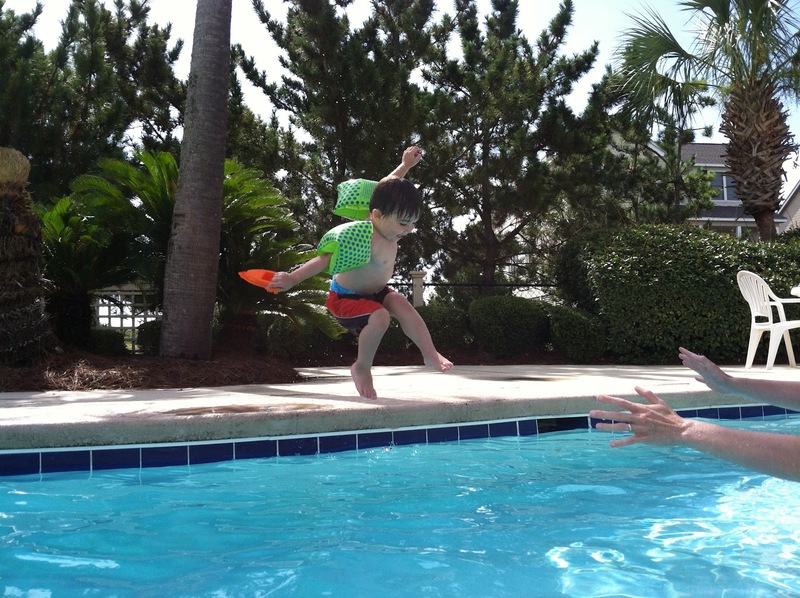 The star shape of his arms, legs, and head as he launched himself into the pool time and again. 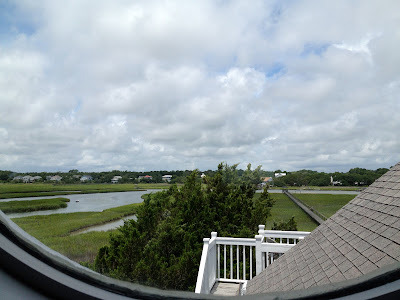 At night, he and I would climb up onto a white stool in the room we shared and peek out the round window—reminiscent of a porthole on a ship—to say goodnight to the water, the sun, the clouds, the birds, the crabs. One night, on his own, he said, "Goodnight, boat. Goodnight, man on the boat." And my arms mimicked the shape of the window, hugging him tightly to acknowledge his awesomeness. I am so grateful for the time we shared. Watching the sun rise from the beach each morning, and luring crabs with chicken necks off the pier in the evenings. Listening to Grammy Pammy's infamous tales. Hearing about Nic's upcoming book, and the new chapter he, Abby, and Frances will begin this summer in Oxford, Mississippi. 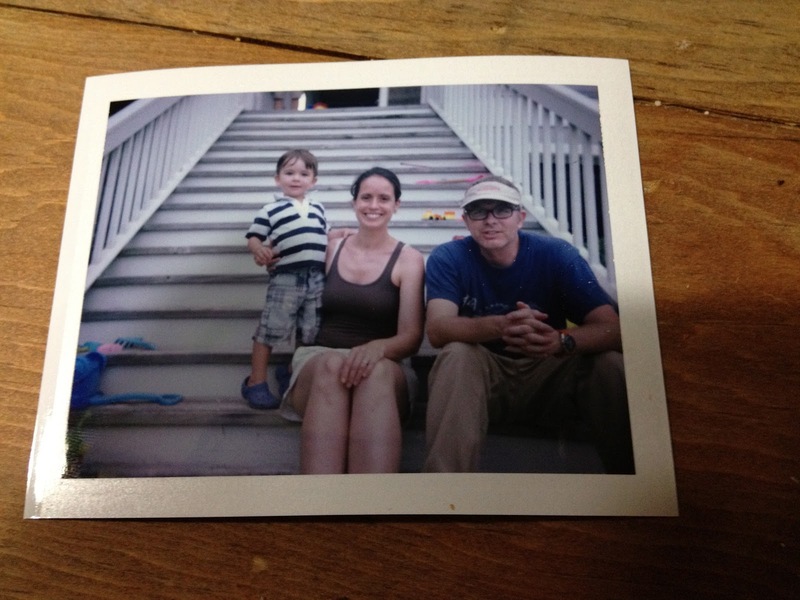 Logan, Hudson, and I, getting to spend time together as a family, away from the hustle and bustle of every day life. 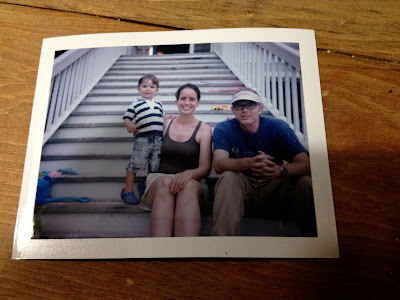 Polaroid portrait of our little family on the porch. * I know just the place where there's plenty of room to store them. I hope they like cheese! So true, Nora! Reality is always relative when it comes to personal body type. Go crazy and have fun this summer!